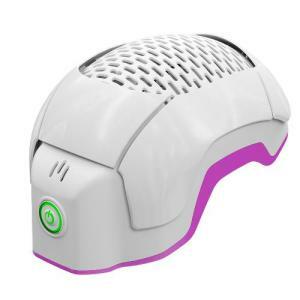 Theradome™, manufacturer of the first and only FDA-cleared wearable, over-the-counter hair restoration device, announces a new partnership with the Pink Lotus Breast Center. Beginning October 15, the Pink Lotus Breast Center will host an exciting giveaway in which three women recovering from breast cancer will be chosen to receive a free limited edition pink Theradome™ LH80 PRO helmet to help restore their hair. In an effort to increase awareness surrounding new technologies for restoring women’s locks after cancer-related hair loss, Theradome™ and the Pink Lotus Breast Center have joined forces. For 10 days, from October 15 through October 25, women recovering from breast cancer, along with their friends and family, may enter the giveaway by completing an entry form and providing a recent photograph of the entrant. On October 28, three winners will be selected at random to win. Theradome, a medical device company based in Silicon Valley, Calif., specializes in bringing laser-based hair restoration therapies previously only available in a clinical setting into the home. Theradome Laser Helmet LH80 PRO helps minimize hair loss, thicken existing hair and grow new hair for a fraction of the price of a visit to a clinic. For more information please visit www.theradome.com. The Pink Lotus Breast Center is an organization exclusively dedicated to the prevention, screening, diagnosis and treatment of breast cancer. At the Pink Lotus Breast Center, women enjoy the unique experience of a comprehensive facility featuring holistic care linked seamlessly to the latest breast cancer screening and diagnostic technologies and state-of-the-art surgery. The organization’s mission conveys one clear purpose: to offer the most comprehensive and integrative breast care available today in a warm environment that provides all women with security and confidence when they need it most. For more information, please visit pinklotusbreastcenter.com.